What is the situation in Trentino-Alto Adige and Belluno: Gales and tide surges wreak havoc in all of Italy, killing at least 10. Gales and tide surges wreak havoc in Italy, killing at least 10. After two days of severe weather that has caused historic flooding, at least 10 people are dead in Italy nationwide. Arabba after the storm. Gales and tide surges wreak havoc in all of Italy, killing at least 10. What is the situation in Trentino Alto Adige and Belluno. Italy has seen gales that sent trees crashing into cars, water surges have destroyed a port and high tides in Venice have flooded the San Marco Basilica. There were dozens injured by the weather conditions. But in the mountains, on Monday a body of a woman was found in Val di Sole, and the body of a fisherman was found by firefighters in Lake Levico in Trentino, and a volunteer firefighter was hit by a falling tree during an operation at San Martino in Badia, in Alto Adige. The fisherman found in Lake Levico is likely to have been blown into the lake by the winds. Falling trees was the cause of many of the deaths and of major disruption. La Repubblica stated that “In 48 hours there have been over 7,000 interventions” by firefighters at a national level, many of them for removal of fallen trees, it reported. Some mudslides isolated parts of the country and several rivers saw record levels and potential floods. 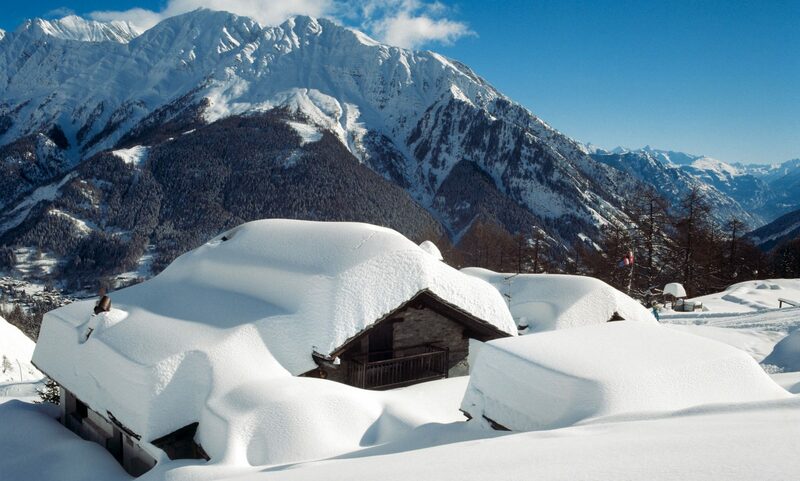 In the northeast of Italy, snowstorms trapped tourists at resorts. At higher elevations as Stelvio pass near the border with Switzerland, 180 people remained cut out after a heavy snowfall blocked the alpine pass, ANSA reports. The highway pass between Italy and Autria at Brennero was closed twice during the day on 29th October. There were multiple reports affecting agriculture, ranging from flooded fields in the north to the loss of olives in the south because of the wind. “Thirty-five years of work demolished in one breath”. Livio Valentini has just arrived in the square in front of the town hall of Dimaro Folgarida when he begins to tell the night of horror. On his forehead, under his hat, he has a plaster that covers the wound he had obtained the night before, before escaping the river of mud that swept away his receptive activity and thus managed to save himself. He has a tired face. The tension of the night exhausted him. “I was in the office alone and I was working quietly – he explains -. I knew that the river was protected by reins. ” Instead, that stream, the Rio Rotian, at one point is overflowing, bringing down thousands of cubic meters of debris that have swept away its camping in Via Gole. A camping, the Dolomiti Camping Village, which has grown over the years succeeding in becoming a quality structure, recognized at European level for the services offered. Its activity, every summer, gives work to at least 65 people, who become 25 in the winter months. In this period the structure was closed for the autumn break before the reopening for the winter season. The pizzeria and the adjacent restaurant would have opened for the holidays related to the Saints. «I was at the computer and I was informing myself about the disturbance – he adds -. Then I heard a very loud noise, as if a dozen tanks were passing by. And then I found the mud at chest level. I understood after that was the noise of the bungalows that fell under the flood. I escaped ». The material has also embraced the building where the spa is located, as well as the rafting center building, which is located under the road, reaching the highway 42 and blocking traffic. On its journey, the slime took everything away, even the fixed caravans parked in the rest area. The damages are huge. There is talk of a few million euros. «Now I have to regain courage – he concludes – I want to start again and I hope that the institutions will help us. The damage is so huge that we can not do it alone. If they help us, maybe for the summer we can reopen ». More pictures of the disaster that the storm caused in Trentino Alto Adige and Belluno. Or check how Cairngorm Mountain might not run its funicular this coming season and how that can affect the region. More destruction in Arabba- How the last set of storms caused havoc in Trentino Alto Adige and Belluno provinces. If you want to salivate and think of snow, see our snow report from last weekend here. Or see how Aspen Snowmass has started its snowmaking operation. Featured Image: Lots of trees have fallen due to a massive storm in the area of Trentino Alto Adige and Belluno. Photo: Vigili del Fuoco. Twitter. Previous PostPrevious So you think that Jackson Hole is only for Extreme Skiers? Think again!